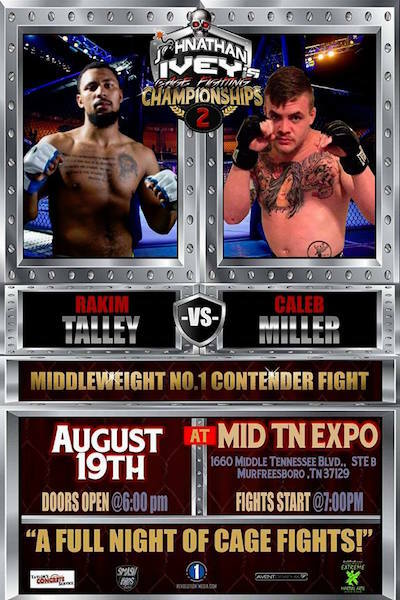 Lebanon, Tennessee’s Caleb Anthony will fight for the middleweight number one contender spot on Aug. 19 at Johnathan Ivey’s Cage Fighting Championships 2 in Murfreesboro. 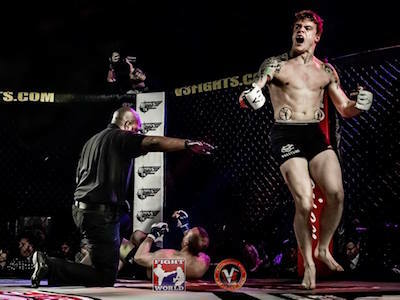 Pro MMA Now spoke with the Guardian MMA product to get his thoughts on the matchup and find out more about his mixed martial arts journey. Thanks for talking with us Caleb, how is training going for your upcoming fight? Thanks for having me! Training is going well. I’ve got a good group of coaches for all aspects of my game and I’m feeling my best yet. How much do you know about your opponent Rakim Talley and what are your thoughts on him? I know Rakim wrestled some Club up at MTSU. And he’s fought a teammate of mine in the past as well. He’s a good athlete and a game opponent. I look forward to seeing him on August 19th make no doubt about it. We’re going to have a lot of fun locked in there together. Where are you training for this fight and who is helping you prepare? Guardian Mixed Martial Arts. I just want to thank all my family friends and training partners. They know who they are and they are an amazing support system. I don’t know how it’ll play out. I’ll study his game, bring my fight to him and let my instincts dictate the outcome. I’ve always had a knack for fighting. When I was a young kid getting into fights really bothered me but at some point you shell up or stand and the rest is kinda history. Now I love to fight. Once I learned about the martial arts and the approach to life it brings, it changed everything and I’ve been on this path since. My goals in this sport are clear to me and that’s to be world champion and pound for pound number one at my craft. Any other mindset than that you better bounce from this game quick. This is a number one contender fight for the 185-pound belt, what would a win on Aug. 19th mean for you? It would be mean everything. Every fight is your biggest fight. I want to show I haven’t went anywhere. I’m more dangerous than ever and I will prove it. What’s life like for you outside of fighting? Life is pretty simple outside of fighting. I stay to myself unless it’s to see my daughter and my family. I’m up at 5:30 training at work by 8 and back at the gym by 6 that night. I wake up and I repeat it. Thanks for your time, any final words for the fans? I just want the fans to stack in that expo center come august 19th and let me give them the rush they’re looking for. I’m gonna bring it, period no other way about it.